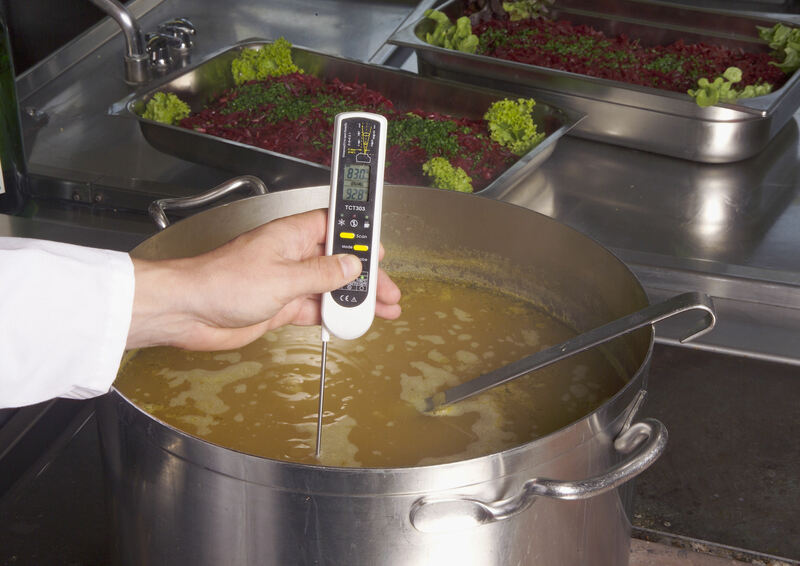 This professional thermometer from TFA is ideal for uncomplicated temperature measurement in the food industry – contactless or via a penetration probe. So solid substances can be measured just as easily as liquid or pasty-like substances. 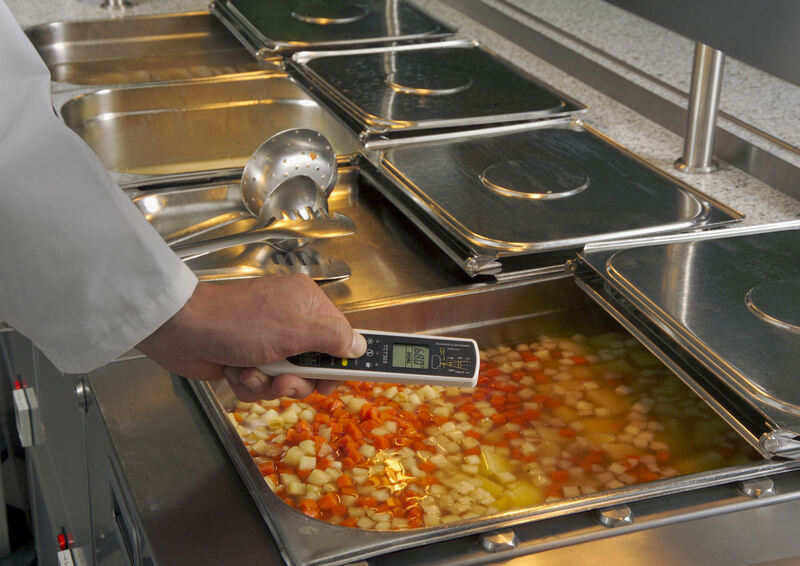 The monitoring of the core temperature during the barbecuing or roasting of meats, the preparation food in the bakery, patisserie or in the catering industry, the monitoring of the refrigerated counter at the butcher’s or in the supermarket, stock checking or the inspection of incoming goods in the canteen kitchen or food industry, these are all possible applications of the "DUALTEMP PRO". 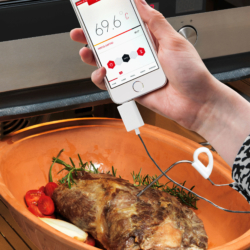 Simply aim at the product to be measured or plunge the probe and within a very short time the device reliably delivers the exact temperature. 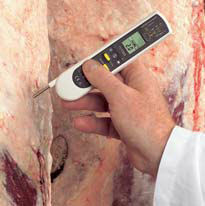 Infrared thermometers enable a non-contact measurement of the temperature via the infrared radiation of a body. 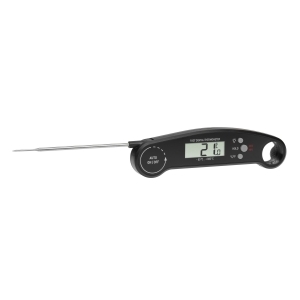 The "DUALTEMP PRO" is HACCP and EN 13485 compliant and ideally suited for industry, trade, commerce and laboratories. 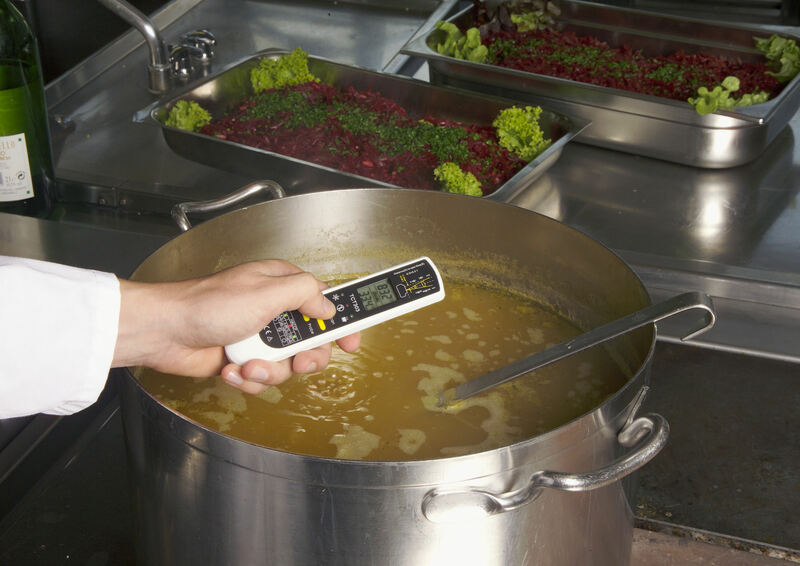 A HACCP LED warns even if certain limits are exceeded. 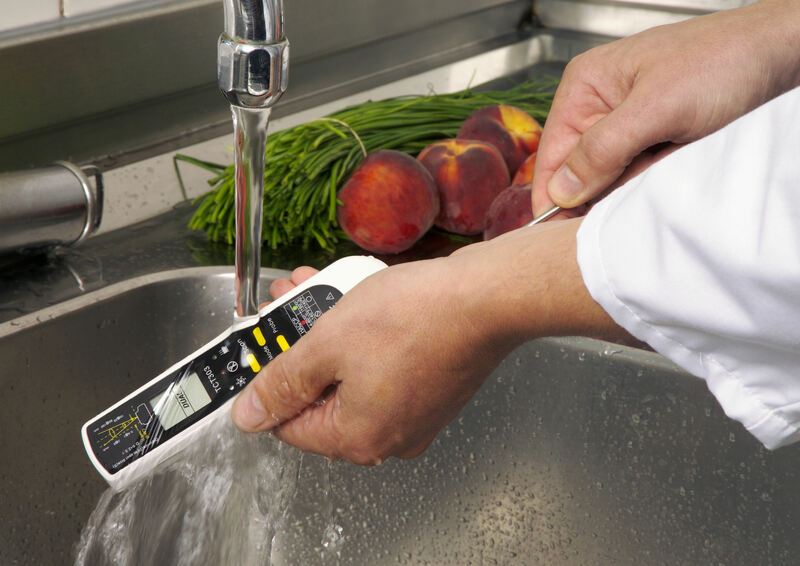 Since it is jet-proof, the thermometer can be cleaned under running water after use. The factory certificate is included.